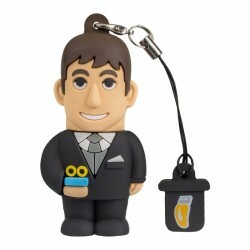 The PROFESSIONALUSB® Pen Drive Bride and Groom, romantic and special. USB "Bride and Groom" Pen Drives, romantic and elegant, are dedicated to the spouses, whether novice or reaching the 3rd anniversary. 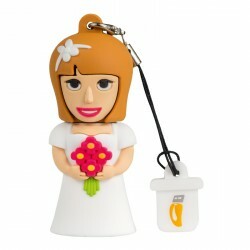 These particular Pen Drives are ideal for all occasions related to the wedding. Give someone or yourself: the Groom with the wedding rings in his hand and the Bride with her bouquet, they are beautiful alone and perfect together. A unique gift idea to stand out, especially for their versatile usage.